Biomedical researchers at John Theurer Cancer Center and throughout Hackensack University Medical Center are delving into the fundamental mechanisms by which cells operate in normal tissues and how those processes may go awry in disease. Bolstered by exceptional resources such as tissue repositories, a tumor registry, bioinformatic tools to analyze “big data,” and the Department of Biological Resources, our investigators are well equipped to make progress against cancer and other diseases—bringing advances from the lab to the clinic with the goal of improving patient outcomes. The Hackensack Meridian Health Center for Discovery and Innovation (CDI) is an academic-based entrepreneurial center that rapidly harnesses innovations arising from a new renaissance in biomedical sciences to restore patient health. Advances in early detection and treatment have led to better outcomes, with more people surviving cancer than ever before. 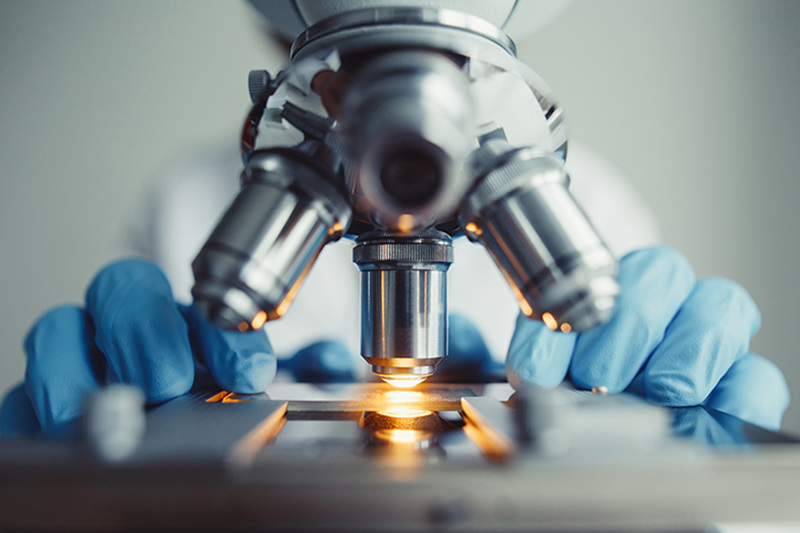 Our research portfolio includes both basic and clinical research activity with support from all major funding sources, including federal state grants, non-profit and disease focused foundations, as well as industry partners. We understand that you may have a lot of questions when it comes to weighing the options for participating in a clinical trial, and we have compiled a list of frequently asked questions that aims to put your mind at ease and help you better decide. The Hackensack University Medical Center mobile app, HMH Well, is an easy-to-use mobile application that gives you the ability to actively manage your health needs.